If Virginia Woolf looks depressed in photos, it’s because she frequently was. Privilege, talent and education make no difference when Churchill’s so-called “black dog” is on your trail. 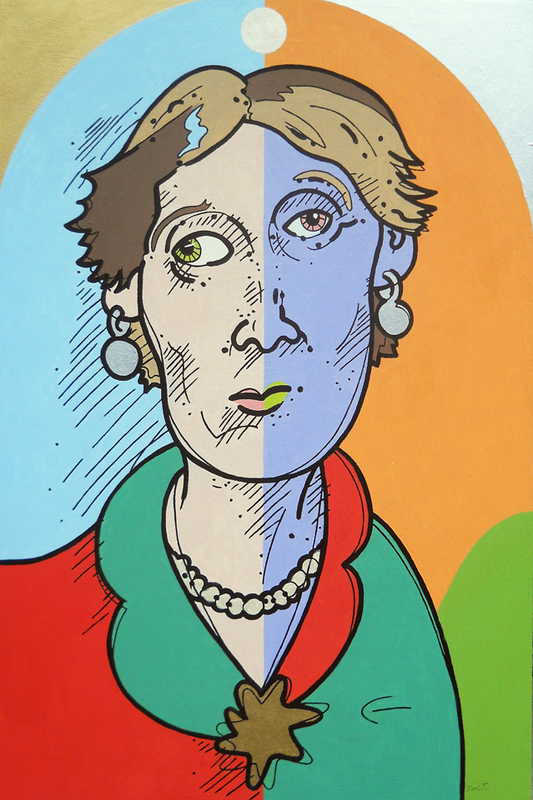 This painting’s split of positive and negative colors attempts to explain this circumstance and how Virginia produced such timeless brilliance in spite of it. The hillocks behind her are nothing but a cheap gimmick meant to justify this painting’s clever but misleading title.